A$ AP Rocky might be one of the few artists left in the game whose music videos grab your attention and hold on to it until the screen goes black. His latest clip to “Tony Tone” continues that trend as we see A$ AP Rocky in different situations and places such as standing in front of an all white council with his crew to rolling deep through the ave while on a bike and flossing a neck chock full of ice. Check out the rest of today’s drops including work from Joey Purp featuring Chance The Rapper, Russ, and more. It’s been a great year for Travis Scott on both the personal and professional fronts and from the looks of things he’s not going to be letting up anytime soon. In his clip to “Yosemite,” Travis continues to give his fans cinematic type visuals as he finds himself flying high (both literally and, well, literally) while a young child falls from the sky and travels a jungle where the natives welcome him with open arms. Not to be left behind, A$ AP Rocky stars in a wild clip to the Juicy J featured which features everything from crash test dummies to white folks having sexual relations in the kitchen. Can’t say we’ve ever seen a Hip-Hop video quite like this before. Check out the rest of today’s drops including work from Tru Life, Emilio Rojas featuring Gene Noble, and more. Just when you thought that the mannequin challenge was officially dead and gone, A$ AP Rocky decided to resurrect the internet trend from a few years ago for his latest video. In his visuals to “Sundress,” Pretty Flacko hits up the club where everyone in attendance is seemingly frozen in time and he finds himself starring down the barrel of a gun. Gunners are apparently immune from the mannequin challenge. Check out the rest of today’s drops including work from Young Buck, Blac Youngsta, and more. As promised earlier this week today Compton’s own Vince Staples dropped his latest album FM! and accompanying it’s release is a visual for one of the album cuts. For his visual to “FUN!” Vince shows just how a suburban white child might be utilizing Google Earth to peek into the realness that is life on the streets of Compton. Crazy clever. In another part of town A$ AP Rocky and FKA twigs find themselves as genetically modified human beings running amok through the night in the futuristic clip to “Fukk Sleep.” Cause it’s the cousin of death? Check out the rest of today’s drops including work from Tru Life, Kap G, and more. Even though we do love fast cars and poppin’ bottles like we took home the trophy, Nascar never really found an audience in the hood. Until now… kinda. In FKi 1st’s 2 Chainz and A$ AP Ferg assisted visual to “How I Feel” the trio find themselves celebrating a Nascar style victory complete with bottles, women, and a press conference. Check out the rest of today’s drops including work from Ayo & Teo featuring Lil Yachty, Lil Durk featuring Gunna and and more. One of the biggest perks of being a rap star is they get to travel the world on the label’s dime and while they’re at it shoot videos in some interesting places. This time around the rap stars are Joey Bada$ $ , A$ AP Ferg and Powers Pleasant (no “$ ” in his name), the video is “Pull Up,” and the palce is Tokyo, Japan. Getting their fast and furious on, the three rappers enjoy Tokyo’s city lights and underground Hip-Hop scene. Back in New York Papoose finally takes off his hat for the first time since he was born and reveals an impressive hairline for his clip to “Underrated.” He also shows off some notable boxing skills in the ring but the hairline is the star of the show. Check out the rest of today’s drops and some joints you might’ve missed over the weekend including work from Slim Thug featuring Sauce Walka and Cam Wallace, BlocBoy JB, and more. G-Eazy may not be on everyone’s radar but judging from his latest video he’s trying like f*ck to get your attention. In his clip to “No Limit Remix” the white kid from Oaktown unites an impressive cast of Hip-Hop all-stars in A$ AP Rocky, French Montana, Juicy J, Belly and 2017 rookie of the year Cardi B to help him turn up at an underground party and steal the show. Well, at least he stands out like a green hat with an orange bill. Check out the rest of today’s drops which include work from Flip Major & Eric Bellinger, Paper Paulk, and more. Snoop Dogg knows that you’re only as young as you feel and judging from the way he lives his life the Hip-Hop OG loves to live by Jay-Z’s mantra, 40 is the new 20. In his visuals to the October London assisted “Go On” that much is evident as the Doggfather throws a pool party where it seems like anyone over 35 isn’t allowed unless it’s Snoop himself of course. Meanwhile over in UK Skepta is joined by A$ AP Rocky and A$ AP Nast in his clip to “Ghost Ride” which features some old school gritty cinematography reminiscent of our beloved Video Music Box days. Check out the rest of today’s drops and some joints you might’ve missed over the weekend including work from China Mac featuring Young M.A, Lil Durk & Tee Grizzley, and more. Say what you want about the old school but just admit that legends like DJ Premier are still capable of breaking necks like Ravishing Rick Rude. Speaking of OG’s, Scarface is the latest gangsta rapper to get have the political battery put in his back and for his clip to “Black Still” drops gems about what it means to be Black in 2017 in Amerikkka. Check out the rest of today’s drops including work from Tyga featuring 24Hrs, G Perico, and more. The post DJ Premier & A$ AP Ferg “Our Streets,” Scarface “Black Still” & More | Daily Visuals 12.1.17 appeared first on Hip-Hop Wired. At the end of the day everyone loves themselves a comfortable bed, but A$ AP Ferg and A$ AP Rocky might have an obsession with mattresses. 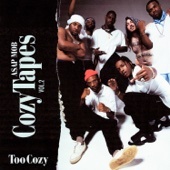 For Ferg’s A$ AP Rocky’s assisted clip to “The Matress” the Harlem mob boys make the most of every matress they come by from the abandoned one in the alley to the high priced joints in a Mattress Firm. We wonder how much they had to pay to hop on those beds all night long. Check out the rest of today’s drops including work from Blu & Exile, Daniel Caesar, and more. The post A$ AP Ferg & A$ AP Rocky “The Mattress,” YG “Free Meek” & More | Daily Visuals 11.29.17 appeared first on Hip-Hop Wired. It’s been just a few days since Meek Mill got sentenced to an unjustified and unnecessary bid, but until he begins to serve it (hopefully he won’t) we should just enjoy whatever material drops with his name on it. Today we get blessed with a Meek Mill appearance on A$ AP Ferg’s “Trap And A Dream” where the two share some good times on the streets of Harlem where they stunt in a Rolls in front of the projects. Check out the rest of today’s drops including work from Drag-On, Uno The Activist, and well, that’s about it. It was a slow day for visuals, y’all. The post A$ AP Ferg ft. Meek Mill “Trap And A Dream,” Chris Rivers “Fear Of My Crown” & More | Daily Visuals 11.9.17 appeared first on Hip-Hop Wired. A$ AP Rocky and Playboi Carti’s popularity these days are what most rappers dream of having so it’s only right the two link up and give their fans something to bump for the summer ’17. In the visuals to “New Choppa” the two get their How High on and zone out to an informercial featuring themselves and some bikini-clad women testing out some automatic rifles at a firing range. Bet them conservatives re-thinking that 2nd amendment right about now. Back in the Boogie Down Bronx representatives Don Q and A Boogie link up and put it down for the borough in the visuals to “Protect Ya Patek” where they go from splurging on some high end diamond time pieces to burning rubber in a high speed car chase. Just another day in the birthplace of Hip-Hop. Check out the rest of today’s drops including work from Money Man, Bump J, and more. The post Playboi Carti ft. A$ AP Rocky “New Choppa,” Don Q ft. A Boogie “Protect Ya Patek,” & More | Daily Visuals 8.31.17 appeared first on Hip-Hop Wired. Categories Hip Hop & RapTags A$AP, Cozy, Tapes, Vol. A$ AP Ferg’s been making some big boy moves for the past few months now but that doesn’t mean he’s abandoning the music game nor forgetting where he comes from. In his clip to “Nandos” the A$ AP Mob member takes it to an abandoned inner city school where some kids skateboard the empty halls and Ferg promotes his upcoming adidas collabo. Who says he can’t multitask? Meanwhile back in Brooklyn Joey Bada$ $ cruises the streets in a spiffy droptop Mercedes for his visuals to “500 Benz.” In 2017 that retro everything is a good look if you can pull it off. Check out the rest of today’s drops including work from Kid Ink, Imasu! Featuring Kool John, and more. The post A$ AP Ferg “Nandos,” Joey Bada$ $ “500 Benz” & More | Daily Visuals 8.29.17 appeared first on Hip-Hop Wired. Gotta love it when rappers get nostalgic with their visuals and remind everyone of simpler days. That’s the route that D.R.A.M. went in his A$ AP Rocky and Juicy J assisted visuals to “Gilligan” where they take today’s sexually charged norms and use it to shock the conservative way of life of the 1960’s. Lord, how times have changed. Check out the rest of today’s drops and some joints you might’ve missed over the weekend including work from Kodak Black, Lex One, and more. The post D.R.A.M. ft. A$ AP Rocky & Juicy J “Gilligan,” Fre$ h ft. 50 Cent & 2 Chainz “Petty” & More | Daily Visuals 8.28.17 appeared first on Hip-Hop Wired. Joey Bada$ $ ’s been securing that bag as of late but that isn’t changing up how the man goes about his life. In “Temptation” the Brooklyn rapper takes it back to the hood with retro cinematography which showcases how life in the struggle is for those who aren’t blessed with the glitz and glamor of fame. But they’re rich in family and sometimes that’s more than enough. Check out the rest of today’s drops including work from Datski & 100Volts (better known as Redman and Jayceeoh), Rock from Heltah Skeltah, and more. The post Joey Bada$ $ “Temptation,” A$ AP Ferg & Skimask “ILoveYourAunt” & More | Daily Visuals 8.23.17 appeared first on Hip-Hop Wired. Well it ain’t the A$ AP Mob but it’s a mob of rappers nonetheless. 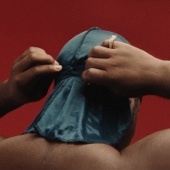 A$ AP Ferg’s been putting in that work as of late and for his dark visuals to “East Coast Remix” puts together an all-star cast of rappers including Busta Rhyme, French Montana, Rick Ross, Dave East, and Snoop Dogg. Wait, ain’t Snoop from the West though? Whatever. It’s all love. Check out the rest of today’s drops including work from Rich Homie Quan, Jevon Doe, and more. The post A$ AP Ferg ft. Everybody, Rick Ross & Snoop Dogg “East Coast Remix,” Kurupt & Fredwreck “Inferno” & More | Daily Visuals 8.11.17 appeared first on Hip-Hop Wired. Future and YG trail behind with "Extra Luv," this week's second highest debut. The bad boy is the latest to jump on the all-in-one workwear bandwagon. A$ AP Rocky isn’t keen on settling. Especially in the case of his former manager Geno Sims, who says the Harlem rap star swindling him out of a cool $ 850,000 during the course of their working relationship. In new documents obtained by The Jasmine Brand, the 27-year-old personality (real name Rakim Mayers) is countersuing Sims, alleging that Sims breached their contract by disclosing information about his finances, personal life and his business to others. Rocky also attributes any confusion as to what Sims claims he’s owed to the new negotiation they reached when the PMF brought in a second manager circa 2011 to help with his burgeoning celebrity. He says the paperwork filed at the time of Sims’ termination in 2014 explicitly states he wouldn’t be giving him one more red cent. It appears this issue will be heading to court in the near future. 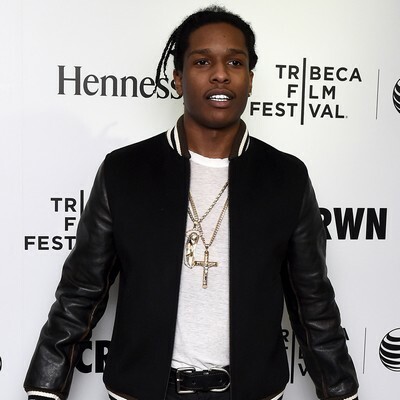 The post A$ AP Rocky Fires Back At Former Manager With Counter Lawsuit appeared first on Hip-Hop Wired. Paris Fashion Week Spring/Summer 2016 was lit with who’s who’s yesterday thanks to the Vogue 95th Anniversary Party. Kanye West was the HNIP as he was surrounded by his family, Kris Jenner and her boyfriend, Corey Gamble and his sister-in-law Kendall Jenner. Also in attendance was Pretty Flaco himself, A$ AP Rocky, Rihanna, The Weeknd’s model girfriend Gigi Hadid, newlywed Bar Refaeli, Oscar winner Jared Leto and the gorgeous Zoë Kravitz. Check out the highlights from the Vogue 95th Anniversary Party down below. The post Kanye West, Rihanna & A$ AP Rocky Attend Vogue 95th Anniversary Party [Photos] appeared first on Hip-Hop Wired. A$ AP Rocky is a Samsung man. In a new commercial, Lord Pretty Flacko is deciding whether to go with the Galaxy S6 edge+ or the Galaxy Note5. Watch the full spot below. Check out behind the scenes photos from the commercial’s shoot on the flip. 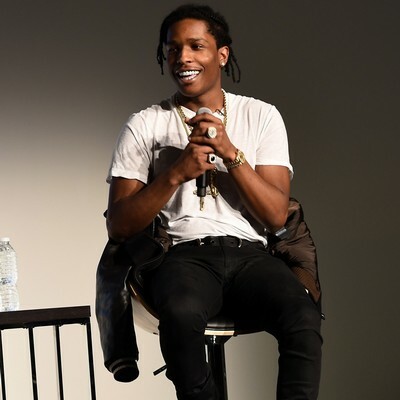 The post A$ AP Rocky Featured In New Samsung Ad [VIDEO] appeared first on Hip-Hop Wired. A$ AP Rocky also says people need to be less serious. Samsung has repeatedly told you that “The Next Big Thing” is already here and the prestigious company is set to release the Samsung Galaxy S6 edge+ and Galaxy Note5 on August 21 to live together in technological matrimony. Last night (August 18), West Hollywood was transformed into a star-studded celebration for plenty of Samsung ambassadors ahead of the new product rollout. DJ M.O.S. warmed up the crowd with Hip-Hop freshness from new and old as Chrissy Teigen (fresh off her viral ad), Jamie Foxx, Tyrese, Russell Simmons, Wesley Snipes, Demi Levato, apl.de.ap and Aldis Hodge (coming Straight Outta Compton), among others enjoyed an open bar and the atmosphere. Elsewhere, technical newlyweds Gabrielle Union and Dwyane Wade treated their Los Angeles rendezvous like a date night and planned an one-year anniversary vacation. Check out the sights and scenes from the actual “Next Big Thing” party down below. For more information on the Samsung Galaxy S6 edge+ and Galaxy Note5, visit their official website. The post A$ AP Rocky Lights Up Samsung Galaxy S6 edge+ & Galaxy Note5 Launch Event [Photos] appeared first on Hip-Hop Wired. A$ AP Rocky doesn’t know why people care about his fling with Rita Ora. Live Nation are thrilled to announce that two of hip-hops most formidable talents, A$ AP Rocky and Wiz Khalifa, are joining forces for a co-headline arena tour of the UK this October. A$ AP Rocky discusses life after A$ AP Yams and his role in the comedy film "DOPE" in The Source’s 2015 Summer Issue. The LA Film Festival know “dope” when they see it and they lended a big co-sign to one of Hip-Hop’s most anticipated films of the year. Rick Famuyiwa’s coming-of-age movie, Dope, enjoyed its official premiere yesterday (June 8) and all the stars were in the place to be seen. Co-executive producers Pharrell Williams and Diddy both turned out on the red carpet to support the film as did rap stars A$ AP Rocky and Vince Staples, who both make their feature debuts in the film. Cast members Chanel Iman, Kiersey Clemons, Kimberly Elise, Quincy Brown, Tyga, Tony Revolori, Blake Anderson, Kap G and lead star Shameik Moore were also in the building at Regal Cinemas L.A. Live. Additional celebrities in attendance included Marlon and Damien Wayans, Michael B. Jordan, Keke Palmer, Gloria Govan, Dascha Polanco and Empire’s Serayah McNeil. Flip through the gallery to see all the flicks from the Dope premiere and don’t forget to check it out when it hits theaters on June 19. The post A$ AP Rocky, Diddy, Pharrell & More Attend Dope Premiere In L.A. [Photos] appeared first on Hip-Hop Wired. A$ AP Rocky couldn”t be happier with his acting debut in Dope. "These niggas been on the West Coast too long," A$ AP Rocky says, "and these niggas wanna smoke too much." (AllHipHop News) On his latest album At.Long.Last.A$ AP, A$ AP Rocky managed to get veteran emcee Yasiin Bey to return to his roots and perform under the name Mos Def. The man born Dante Smith dropped the Mos Def moniker in 2012, and he had not done much musical work since that time. A.L.L.A. features Mos on the the closing cut “Back Home.” A$ AP Rocky spoke with DJ Whoo Kid about collaborating with the Brooklyn legend. The A$ AP Mob member also talked about his experiences doing drugs with Wiz Khalifa. Wiz claimed Rocky ran away from a “blunt challenge” which led Rocky to address his rap peer’s accusations. “I don’t know what’s wrong with Wiz, and I don’t know what’s wrong with Snoop [Dogg]. I don’t know what’s wrong with Chris Brown and all these n*ggas. These n*ggas been on the West Coast too long and these niggas want to smoke too much,” Rocky stated. According to Rocky, he told the Taylor Gang leader he would go blunt for blunt, but Wiz responded that he does not smoke blunts, only papers. While Rocky admitted he had trouble handling Wiz’s dab, the “L$ D” rapper got Wiz back when he got him to do mushrooms for the first time. Watch A$ AP Rocky’s interview below. A$ AP cleaned it up pretty quick, but he was feeling himself for a second there. A$ AP Rocky's Instagram collage experiment cost himself 100,000 followers. Zoe Kravitz, A$ AP Rocky and Pharrell Williams turn out in Cannes for a photocall to celebrate their urban coming of age comedy ‘Dope’. Rough Cut (no reporter narration). Dexter Navy directs the visual while A$ AP gets a co-director credit. 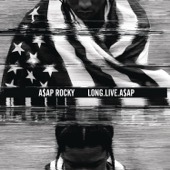 Lord Pretty Flacko Jodye’s sophomore album, At.Long.Last.A$ AP, is in stores June 2. The post A$ AP Rocky Drops Trippy Visual For “LSD” appeared first on Hip-Hop Wired. The biggest story going into A$ AP Rocky’s sophomore album At.Long.Last.A$ AP is that the Hip-Hop superstar will have to do it without his right-hand man, A$ AP Yams. The 26-year-old rap mogul-in-the-making passed away in January from an accidental overdose of drugs including opiates and benzodiazepine (a.k.a. syrup) and was said to be the man who brought the A$ AP Mob together. 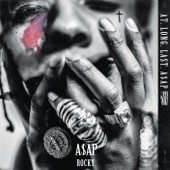 Well the young Harlemnite has forever immortalized his friend on the At.Long.Last.A$ AP album cover which depicts Sir Lord Pretty Flacko Jodye facepalming with his fingers covered in audacious rings and an image of Yams watching over him. In a recent interview with Billboard, Rocky admitted to being influenced by a multitude of non-Hip-Hop entities such as Portishead, Massive Attack, Thom Yorke, The Kinks and The Stooges. He still maintained that his new LP would be rooted in Hip-Hop but his latest single “Everyday” featured the eclectic talents of Miguel and Rod Stewart (of all people) so the expansion and experimentation is evident already. 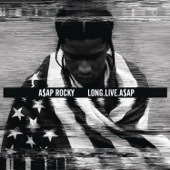 The At.Long.Last.A$ AP album cover can be seen below. It will now be released on June 2. The post A$ AP Rocky’s At.Long.Last.A$ AP Album Cover Is Blessed With The Spirt of A$ AP Yams [PHOTO] appeared first on Hip-Hop Wired. Stage diving and crowd surfing are an essential part of any A$ AP Mob live experience. According to TMZ, the young rap collective have been slapped with a lawsuit for doing so. The group is being sued by a woman who attended their concert at the Fonda Theater in Hollywood back in 2013. Tammy Nguyen claims she was a VIP at the show when A$ AP Mob took the stage at around 11PM. There was lots of crowd surfing during the evening, but it really intensified. She says A$ AP members, including Darold Ferguson, Jr. — better known as A$ AP Ferg — were diving in the crowd, along with a bunch of fans. When Ferguson jumped, Nguyen says he nailed her. And what’s worse, she says she had to fight her way through the crowd to get out, and security didn’t help. Ferg and the entire Mob to were named in the suit. The post A$ AP Mob Sued For Injuring Fan While Stage Diving appeared first on Hip-Hop Wired. A$ AP Ferg backtracks on a recent claim he made about racism being dead. (AllHipHop News) A$ AP Yams of the Hip Hop collective A$ AP Mob died on January 18. Surviving members of the Harlem based crew denied rumors Yams death was from a drug overdose. The New York Times now reports NYC’s chief medical examiner has confirmed Yams’ death was the result of an accidental acute mixed drug intoxication. The Times writer Jon Caramanica revealed the news on Twitter. Yams founded the A$ AP Mob which includes rappers A$ AP Rocky, A$ AP Ferg, A$ AP Nast, and A$ AP Ant. The 26-year-old executive was laid to rest at Manhattan’s Frank E. Campbell Funeral Home. A$ AP Ferg and YG made use of their time together on the BestCoast Tour, as a visual for their collab track “This Side” arrives today. 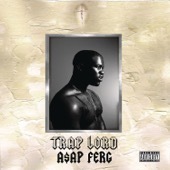 The track first appeared on Fergenstein’s 2014 mixtape Ferg Forever. Peep the clip below, along with more treatments from Atlanta’s Ketchup, Soulja Boy, and G Herbo, in the Daily Visuals. The post A$ AP Ferg & YG Connect In “The Side” | Daily Visuals 3.9.15 [VIDEO] appeared first on Hip-Hop Wired.